"Great place to go for any laser hair removal." "All three staff members I interacted with were so friendly, Francesca was wonderful." "Beautiful center with the most professional staff and luxurious services!" "The staff is wonderful and helpful." "I love this place. Great staff and very clean their just awesome." "Couldn't have asked for a better esthetian she was awesome!" "Extremely professional with high quality tools to get the job done." "The staff is amazing and the location is beautiful and clean!" "Definitely impressed with my experience. Thank you Florida Cosmetic Center." 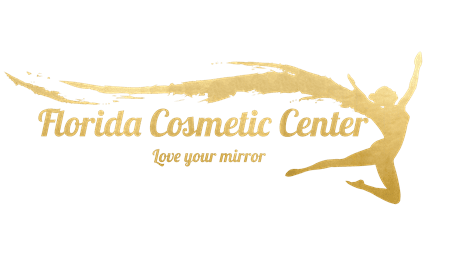 When you want the best cosmetic procedures possible, look no further than the highly-trained team at Florida Cosmetic Center. A board-certified physician, Dr. Arash Pasha, leads the nationally-recognized center and provides a one-stop shop for patients looking for first class aesthetic procedures in Celebration, Florida. With a primary focus on the patient's comfort, Dr. Pasha provides a full range of cutting-edge, nonsurgical cosmetic treatments, from smoothing fine lines and wrinkles with dermal fillers to innovative hair implants. Using top-of-the-line equipment, Dr. Pasha and his team bring patients optimal results with laser hair removal, body sculpting, and vaginal rejuvenation. With nearly two decades of experience, Dr. Pasha focuses on giving every patient the attention they not only want but deserve. Dr. Pasha earned his medical degree from Golestan University and trained throughout England at hospitals accredited by the Royal College of Surgeons. He’s a diplomate to American College of Physicians and an active member of the American Society for Laser Medicine and Surgery. Dr. Pasha has also undergone extensive training and received multiple certifications from the American Society of Laser Medicine and Surgery. Along with English, both Spanish and Farsi are spoken in the office at Florida Cosmetic Center. We are now texting our patients! 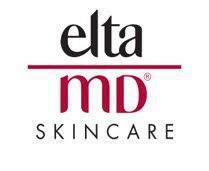 Ask us about our skincare products! "I had a Coolsculpting procedure done yesterday! The staff were very accommodating and professional! They made sure my needs were fully met." "The staff is very nice. The equipment they use is great. The location is easily accessible and there is plenty of parking. " "Went in today for my first session on my full legs. Couldn't of asked for a better Esthetian she was AWESOME! " "Love it! Delilah was awesome. I definitely will keep doing my laser here." "Francesca was very helpful and reassuring, she is professional and caring. I felt that my questions were always answered with the right level of information." "From the very first visit I felt at ease and welcomed by Francesca. The entire staff is professional, caring, knowledgeable, and will listen to your concerns." "Love it here! I came in for an IPL treatment and the staff were exceptionally friendly and made sure I was comfortable from the time I walked through the door." "The staff is wonderful and helpful. The environment is relaxing and gives one a comfortable welcoming feeling. Florida cosmetic in celebration is highly recommended." "Very comfortable atmosphere and the staff was fantastic. The results from my IPL were very positive. Ready for my next visit!" "I'm doing laser hair removal on my legs, and so far I've seen reduced amounts and thinner hair. The girls make you feel very comfortable." "Lovely office. Super professional and friendly. Worked with me on my needs and took the time and patience to understand my goals."